It's official, President Snow hates Katniss and Katniss sparked a revolution. 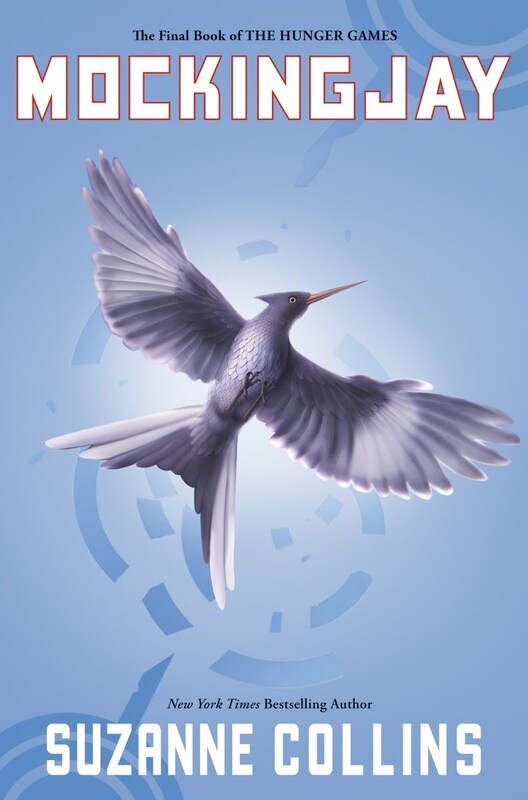 When Katniss is rescued form the arena by rebels, she's not sure who she can trust. She thought she knew who the enemy was, but now she's not as positive. So for now she's staying in District 13, with the survivors from the air raid on District 12. Peeta was captured by the Capitol and is being held and tortured. Katniss just wants to get him back and make Snow pay. She may not get a chance though, when she's held back by District 13's President Coin. Katniss may have more enemies than she thinks, and far fewer allies than she hoped. I was sort of frustrated with this book in a lot of ways, there were just so many things that infuriate me. I also didn't like the ending, not the resolution, just the style of it. 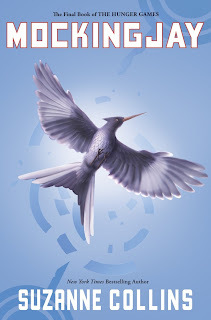 Katniss was in and out of a daze most of the time, so the end of the book seemed very disjointed and I had a hard time piecing together what was going on. I also was just so frustrated with Katniss. Her love triangle was mostly just an angle. She didn't really seem to love either of them. It is hard though, because the Katniss Gale knew and love died in the first Hunger Games, meanwhile Katniss and Peeta grew closer, but she distanced herself. I also am still not sure who Katniss can trust, everyone seems to be keeping a lot of secrets. I'm not sure who did drop those parachutes. Was it the Rebels? Was it the Capitol? If it was the Rebels why weren't they shot out of the air, why did the medics go in to help? This brings me to the thing that killed me the most about this book. Prim dying. What!?! I guess it's a circle, the series started with Katniss taking Prim's place to save her life, so I guess she had to die, but it was just cruel. There was really no happy ending in this book. Not that a book needs a happy ending, but I feel like something nice could have happened. The whole society was a mess though, so I guess it only makes since. No one had a happy ending, why should the hero? So even though after I'm finished I am loaded with questions and theories, I guess it means that this was an incredible series. If everything was cut and dry, what would we have to talk about? It would have left nothing to mull over days and weeks after. Nothing to debate passionately about with other readers. This was such a great series, I think I may have to reread this one in the new future. "The scream starts in my lower back and works its way up through my body only to jam in my throat. I am Avox mute, choking on my grief." I'm quite happy for books to have unhappy ending, particularly one set in such a bleak atmosphere. In fact there were quite a few things that bothered me about Mockingjay, but this wasn't one of them.